USDA Secretary Sonny Perdue, left, hosted a town hall moderated by California Farm Bureau President Jamie Johansson at World Ag Expo. 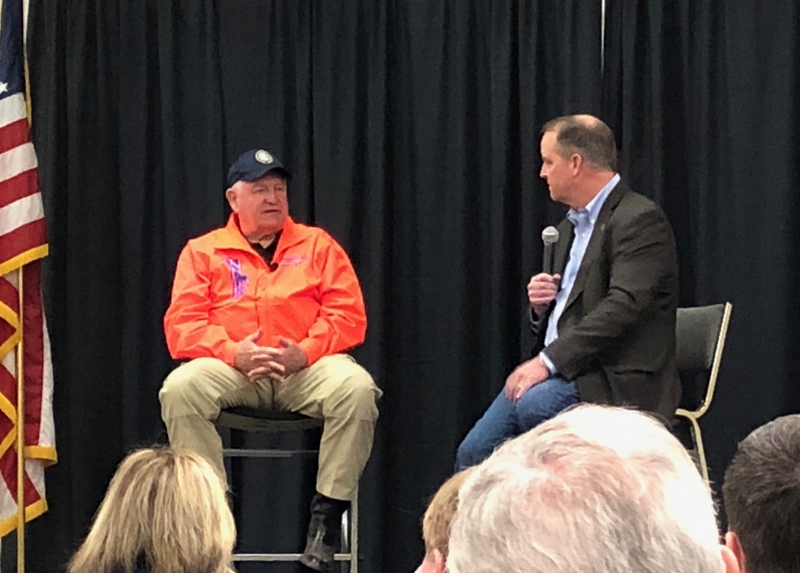 USDA Secretary Sonny Perdue held a town hall at World Ag Expo in Tulare on Feb. 13 to listen to suggestions for the upcoming Farm Bill. VP Glenda Humiston was among those present for the discussion. Todd Fitchette of Western Farm Press wrote: “While trade, labor and regulatory issues may top the list of agricultural policy issues Perdue faces in Washington D.C., Glenda Humiston, Vice President of the University of California Agriculture and Natural Resources Division of the state's Land Grant university, stressed the importance of adequate research funding and federal definitions of rural versus urban, which she said is having detrimental impacts across California on important program funding. “Humiston said that while UCANR has a ‘proud tradition of research in California,' the university is plagued by reduced budgets at the same time the state is plagued by a new invasive pest every several weeks. She said for the university to stay ahead of these issues and to help growers in these and many other areas, additional funding is vital. In private communication, Fitchette mentioned that widespread applause broke out across the audience in response to Humiston's comments. “If a county has one town that has 50,000 population in it, the entire county is labeled metropolitan for purposes of allocating funding,” Humiston said, wrote Chelsea Shannon of the Hanford Sentinel. Matthew Sarr of the Porterville Recorder also covered the event.